Sporting business Close House Golf Club grew sales by 7% last year after fixing its focus on growing corporate memberships. 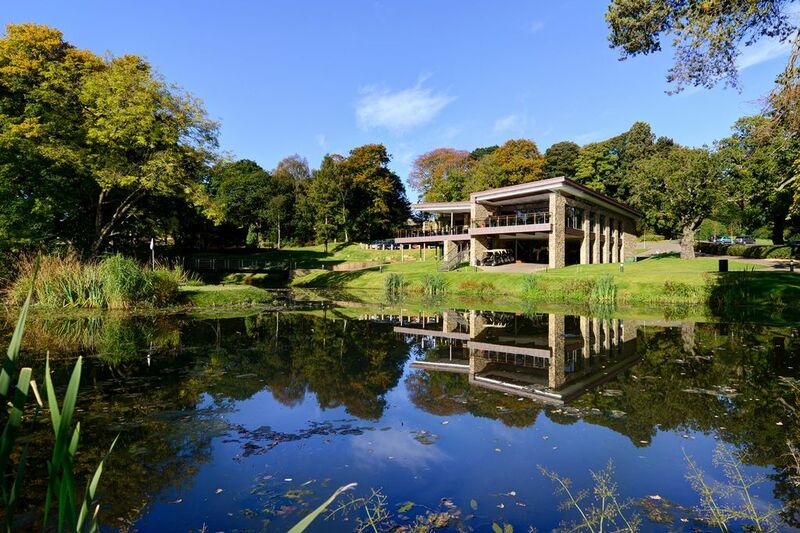 Based at Heddon-on-the-Wall, Northumberland, the business is owned by Graham Wylie, founder of Sage software firm and owner of Speedflex and TSG, who originally opened up the Grade II listed building as a country house, hosting weddings and conferences, with the golf business following later. Last year, however, Mr Wylie took the decision to close the hotel and revert it to a residential house following evidence that the main mansion house was becoming increasingly redundant. The previous year’s operating profit was hit with an exceptional charge following an impairment review of the firm’s tangible assets which was made after the decision to close Close House Hotel, resulting in an overall operating loss of £8.5m. During the accounts period the operating loss was lowered considerably to £1.3m, while the overall loss for the year was £1.41m. Turnover grew from £2.36m to £2.53m for the year ended September 30 2014, and directors said they were confident the business will continue to grow as Close House Golf continues to build its brand, location, reputation and facilities, including the Number 19 clubhouse which was refurbished in the accounts period. Sales and marketing direct Ian Dinning said: “In terms of membership the individual members are going very well. We’ve been operating since 2011 and since then it has grown organically, steadily increasing to almost 400 members. “The other main line which we have been focussing on is corporate membership and that has been hugely successful. “Current membership is virtually full. We have 35 corporate members and just have one package left, so it’s been a great success, which is down to the quality of service we deliver – we are a customer service business that delivers golf. Managing director John Glendinning said more businesses were signing up in direct response to improvements in the economy, making the club a good place for firms to network, in turn introducing newcomers to the venue. Efforts are also being made to attract international visitors following link-ups with Dubai and New York made through Emirates and United Airlines flights. Over the course of the year the firm opened a nine-hole Yearling course to add to its existing Lee Westwood Colt course and the Filly course, while also earning PGA Academy status – one of only four in the UK. Last month Close House also hosted this year’s ISPS Handa PGA Seniors Championship, a four-day event which welcomed several Ryder Cup heroes including Sam Torrance and Mark James. The firm’s profile also continues to be raised through its connection with Lee Westwood, who put his name to the Colt course and is Close House’s attached tour pro, wearing the brand in all championship events. Mr Dinning: “We’re in quite illustrious company with the PGA Academy status and it’s a huge endorsement for the region – the accreditation means we are a centre of excellence. “Our connection with Lee continues and it’s great to be attached to a professional who has taken the brand across the world. “We have also attracted more than 50 clubs, stay-and-play groups, and I like to think that drives business across the region and not just to Close House – they come here to play but also go to enjoy the bright lights of Newcastle.